WE’VE ONLY JUST BEGUN | Love Productions Inc. The definitive concert show celebrating the music of one of the most successful recording acts of all time. 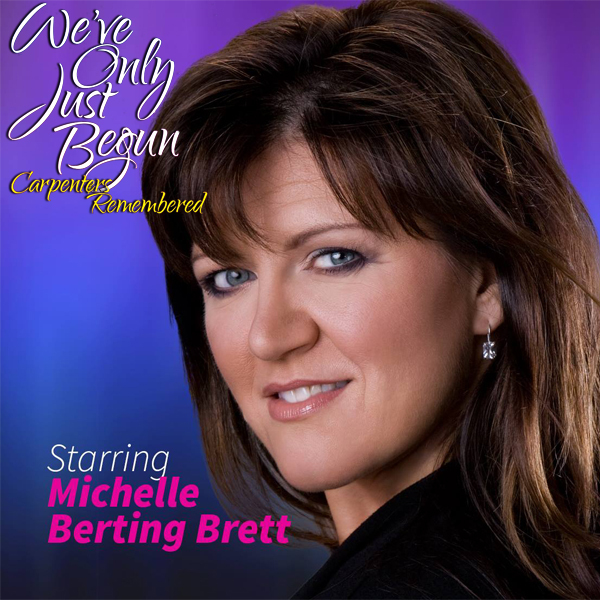 Led by Michelle Berting Brett and accompanied by a live, 7-piece Nashville band directed by Harry Sharpe, the show re-creates the Carpenters’ original sound. A special holiday version of the show, Merry Christmas Darling: Carpenters’ Christmas, based around the Carpenters’ iconic Christmas albums, tours during the winter months.